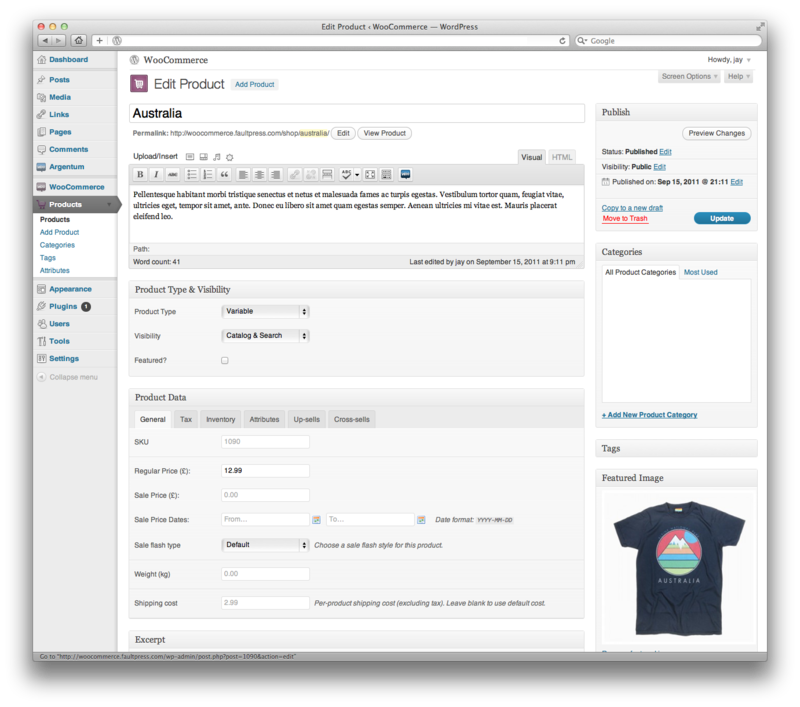 WordPress theme provider WooThemes is launching a new service today called WooCommerce, which lets users install a plugin on their WordPress site in order to turn that site into a professional e-commerce storefront. The system includes a plugin and the company’s theme library, while also offering multiple payment gateway options, settings for configuring shipping rates, coupon support, email templates, a reports panel to track sales and performance and more. 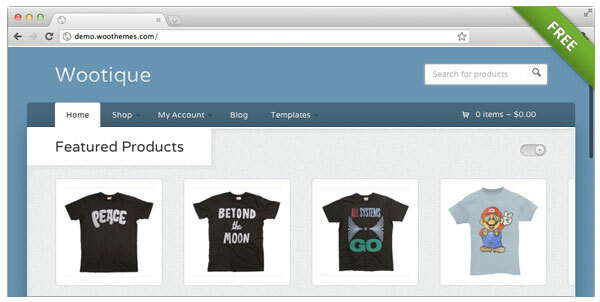 The WooCommerce plugin is designed to work with the existing theme library that WooThemes already provides. The company has over 50,000 paying customers who have downloaded its free themes over 800,000 times. It also serves as a premium theme provider to WordPress.com. The company is now focused on turning its themes into full-featured applications. To this end, WooThemes has devoted a division of its company, WooLabs, to creating new ways to turn the themes into feature-rich platforms. E-commerce is the first offering from WooLabs. In the future, WooThemes plans to launch an integration of the SupportPress theme,which allows anyone to sell premium suppor, as well as themes that offer the functionality of wikis and those that resemble popular Web apps like Basecamp, UserVoice and Quora. The first of the WooThemes to receive integration with the WooCommerce plugin are Statua, which allows photographers to sell their prints online, and Diner (integration arriving soon), which allows restaurants accept take-out orders from their website. WooThemes is certainly not the only e-commerce platform company, but it wants to be one of the easier ones to use, both on the backend, through simplified controls, and on the frontend, through good design. The biggest competitor on WooThemes’ radar is Shopify, the popular online retail platform. But while Shopify is flexible and extensible, it’s not designed for WordPress sites and it requires a bit of tech savvy to use, the company feels. This launch comes after WooThemes’ decision earlier this year to refocus all its efforts on WordPress development going forward, citing a lack of knowledge about or passion for building themes for the likes of Drupal, EE or Magento. WooCommerce is launching today. The code is open source and can be found at http://woothemes.com/woocommerce.